SYRACUSE, N.Y. - The director of student activities at the SUNY College of Environmental Science and Forestry has been awarded a Chancellor's Award for Excellence in Professional Service. Julie L. Rawls of Liverpool, who has been employed at ESF for five years, plans activities and programs for ESF's 1,000 undergraduates and 500 graduate students. The chancellor's award recognizes extraordinary professional achievement. Rawls plans orientation programs for new students at both ESF's main campus and its Ranger School in Wanakena. She devised an extensive orientation program to accommodate different student populations: freshmen, transfer students, graduate students and those with families. A program she designed to help introduce freshmen to collegiate life earned the title of SUNY Outstanding Student Life Program for 1997. The program is a one-credit orientation to ESF, college life, and individual programs of study. It meets weekly in various locations on campus, depending on students' curricula. The class provides first-year students with an overview of ESF resources available to students, study skill strategies, and time and stress management tactics. The course includes an overnight retreat at Highland Forest collaboratively hosted by the offices of Student Affairs and Academic Affairs. The retreat involves upper-class volunteer facilitators to lead discussions. Rawls has also implemented leadership training seminars for both ESF and Syracuse University students, and assumed a new role as ESF's chief student judicial affairs officer. She introduced new events on campus, such as Celebrating the World Week and weekly movie nights. 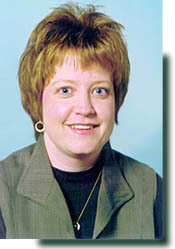 Rawls earned her bachelor's degree from Central Michigan University. She earned her master's degree from Syracuse University and is pursuing her Ph.D. in higher/post-secondary education at SU. Before joining the ESF staff in 1993, she worked as a dormitory complex director and as a residence director at Syracuse University.